Dubai (Metro Rail News): On March 31, 2019, British Serco Group has signed a two-year contract extension worth £140m with the Roads and Transport Authority (RTA) to continue operating and maintaining the Dubai Metro until September 2021. The contract extension includes the operation and maintenance of the Red Line expansion which is currently under construction; the test-run of the expanded service is expected to start in February 2020 in readiness for full operation ahead of Expo 2020 which begins in October 2019. The total value of the fixed base fee for the contract extension is around AED680m (equivalent to about £140m). In 2009, Serco first began operating and maintaining the initial ten stations on the Red Line from the official opening of the Dubai Metro. Expansion of the Metro has seen the Red Line grow to 29 stations, while the Green Line, opened in 2011, added an additional 20 stations. The Red Line expansion for Expo 2020 adds 15 kilometers and connects seven stations. At that point, the Dubai Metro will have a total network length of 90 kilometers and over 120 trains running at peak times. Serco’s more than 2,000 employees on the Dubai Metro continue to deliver excellent operational performance and record numbers of passenger journeys. 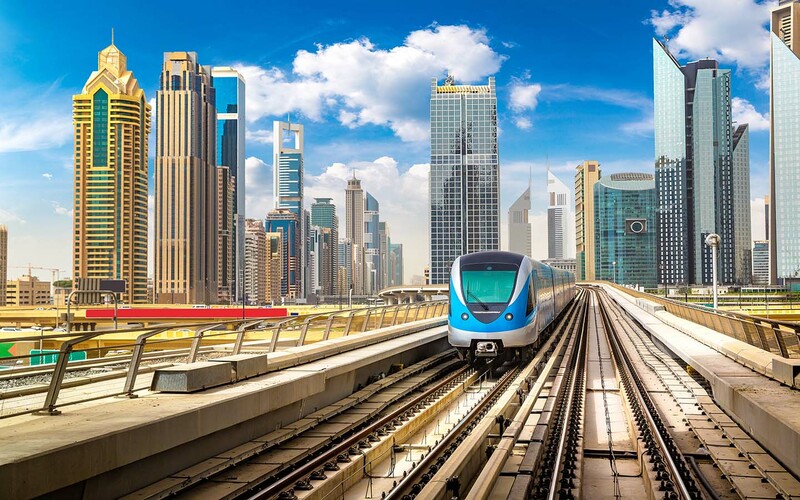 “Serco has delivered operational performance levels on the Dubai Metro with a high train service availability of 99.9% and a punctuality of 99.8%, achieving a record of 204 million journeys in 2018″, said HE Mattar Al Tayer, Director-General and Chairman of the Board of Executive Directors of the RTA, who signed the contract at a ceremony yesterday in Dubai alongside Rupert Soames, Serco Group Chief Executive. “We are delighted to have agreed this extended and expanded contract to continue operating and maintaining the Dubai Metro, which is amongst the largest and most reliable rail services in the world. This contract demonstrates the high confidence that RTA has in Serco to continue delivering world-class levels of safety, operational performance, and customer service. We look forward to working in close partnership with the RTA in support of the preparations for Expo 2020 and beyond”, said Rupert Soames. The above information was shared by the Serco through its press statement. congrats and best wishes to ‘Serco’ and ‘Dubai Metro’ team for contract renewal and the RED line expansions project.